Another year, another unarmed black man killed by the police, and another injustice for the families of the victims involved. 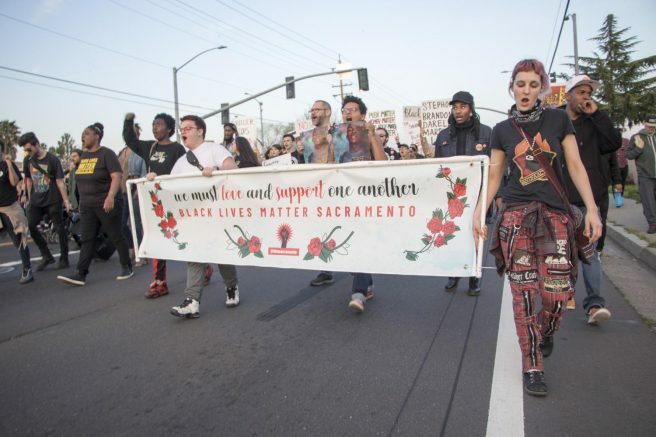 Stephon Clark, a 22-year-old African-American man, was shot in the Meadowview neighborhood in Sacramento by two police officers from the Sacramento Police Department on March 18, 2018. A 911 call was made by a neighbor that Clark allegedly was breaking car windows. The officers chased Clark until he was in his grandmother’s backyard, where he was believed to have a gun and was shot eight times by the Sacramento police officers, including six times in the back. After Clark was fatally shot it was discovered that he did not have a gun and instead had only his cellphone in his hand during the scene. This has been a tragedy within the Sacramento community and has left the Clark family distraught. The Clark family is seeking justice, but instead Sacramento District Attorney Anne Marie Schubert blamed Clark for his own death as she revealed personal troubles he went through the days before he was murdered. The DA’s office declined criminal charges against the officers who shot Clark. There have been countless police shootings against black men and women for some time across the United States and no justice has been served for those crimes. Watching and hearing these stories on the news and all over the media has brought frustration and grief to me. Now that it has happened within my own city and community, it gave me clarity that it is time for a change. It is time for police officers to start taking responsibility for their actions and to be prosecuted for the death of innocent lives they’ve taken away. We need justice in our system and accountability held against these police officers who are guilty of misconduct on the job. I strongly believe these officers should be sentenced — suspension is not enough when innocent lives are at stake or taken. Officers should be fired and charged in order to set an example for future officers who take the lives of others. The big question everyone is asking is how can we stop the killings between police officers and black men? California made short improvements with police records and body cameras. In 2018, legislators passed Senate Bill 1421, which allows for opening police records on police-related shootings and any major force incidents. Law enforcement also needs to strategize more efficient ways in handling situations to avoid deaths — whether there is more training in the use of force, or not shooting to kill but at least to wound the suspect. As an African-American student, being in an institution that was not systematically built for me is already hard enough. I am grateful that my school has programs for people of color that are reaching for equity and pathways for us as students. I am grateful for the support groups that help in healing and creating safe spaces to have open discussions about tribulations such as this one. We can strengthen our community when tragedies like this occur by coming together and forming more community involvement with each other. Engaging in positive activities, taking action when things like this happen and building relationships to express our feelings to one another could be a start in the process of healing in our communities. The fight must not only continue for integrity in our criminal justice system but also unbiased treatment of African-Americans. Be the first to comment on "Police need to be held accountable for actions"